If you (and your dog!) are interested in volunteering in our Therapy Dog program, please fill out this form. 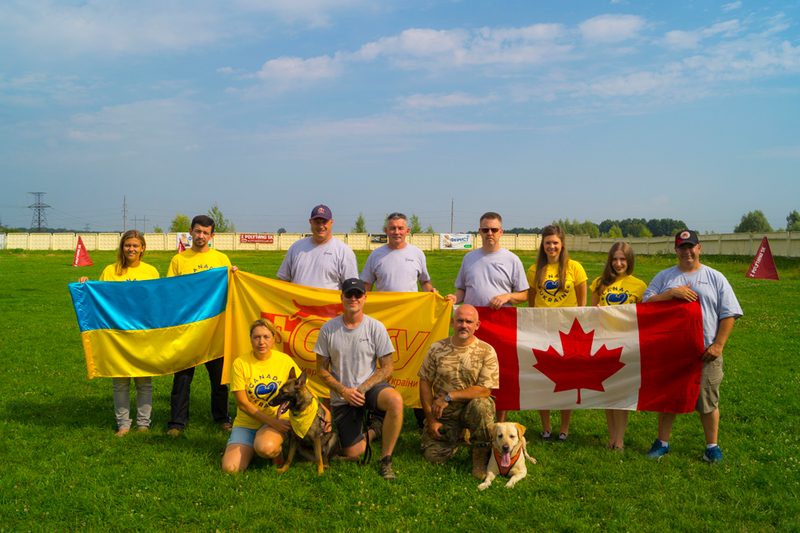 If you are a health professional working in Ukraine and are interested in having our therapy dogs visit your centre, please send us at e-mail at info@heroscompanion.org. At this time we are no longer accepting applications for service dogs. Hero’s Companion runs a Service Dog Sponsorship Program, where for $1500 you can “adopt” a veteran-service dog team. All service dogs are provided free to qualifying veterans, and your sponsorship will help ensure that we are able to provide service dogs for as many veterans as possible. If you or your company would like to sponsor a veteran-service dog team, please send us an e-mail at info@heroscompanion.org. Help make a major difference in someone’s life today! Donations can be made via the link. No amount is too big or too small.